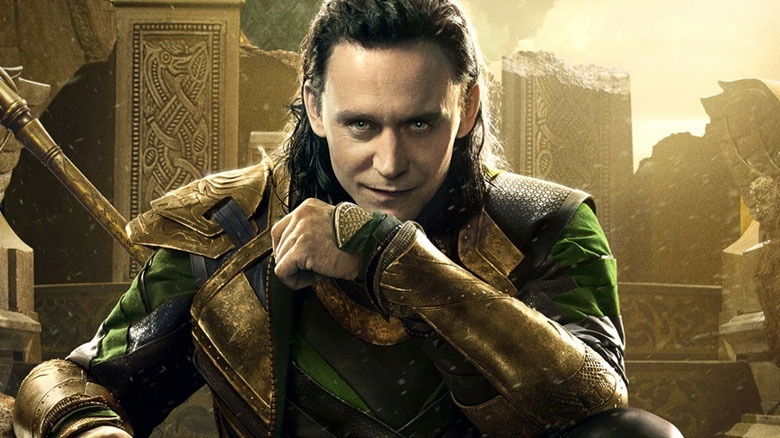 The mischievous trickster Loki is making his return in Thor: Ragnarok. Tom Hiddleston recently posted a behind-the-scenes photo of himself dressed as Loki while working on the film. This marks Hiddleston's fourth time donning the drapes of Loki, excluding his deleted scenes in Avengers: Age of Ultron. Hiddleston is also expected to return for Avengers: Infinity War and the following Avengers posse film. Nevertheless, we're glad to see the 35-year-old English actor making his return as Thor's nefarious brother. The last time we saw the green-clad schemer, he was posing as Odin, the King of Asgard, at the end of Thor: The Dark World. While Ragnarok's official synopsis has yet to be released, Mark Ruffalo's Hulk will be playing a significant role. Expect the angry green giant to wear his Planet Hulk armor during the movie. In Norse mythology, Ragnarok is supposed to be the epic, end-all battle of the gods, resulting in the apocalypse. The battle is supposed to involve the likes of Loki, Odin, Thor, Tyr, Freyr, and Heimdall, but we have a feeling Tessa Thompson's Valkyrie and Cate Blanchett's Hela will likely replace Tyr and Freyr as major players during Ragnarok. Also joining the cast are Jeff Goldblum as the Grandmaster and Karl Urban (Judge Dredd!) as Skurge. You'd best believe Idris Elba and Sir Anthony Hopkins are returning as Heimdall and Odin, respectively, with What We Do in the Shadows director/writer Taika Waititi directing the project. Thor: Ragnarok will hit theaters on November 3, 2017. Other upcoming films on the horizon from the Marvel Cinematic Universe include Doctor Strange on November 4, 2016; Guardians of the Galaxy Vol. 2 on May 5, 2017; Spider-Man: Homecoming on July 7, 2017; Black Panther on February 16, 2018; and Avengers: Infinity War on May 4, 2018. Hiddleston also headlines Kong: Skull Island, which is set to launch on March 10, 2017.